Like most universities, the traditional lecture format is widely practiced at City University of Hong Kong. “Even though my colleagues and I still lecture, it is always a challenge to keep student’ attention during what is sometimes a two-hour lecture class,” says Dr. Justin Robertson, Associate Professor of Asian and International Studies at City U. With Echo360, instructors can embed student response activities into classroom presentations and videos. They can choose multiple question types including graphic response. Students can answer using their own personal device, such as smart phone, tablet, or laptop. Dr. Robertson uses the student note taking feature of Echo360 to see how well his students understand his lecture material. Contextual Notes. 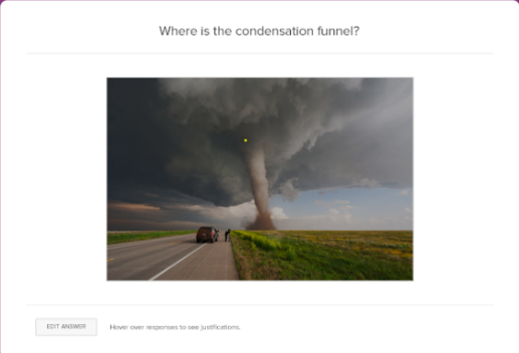 Echo360 keeps student notes linked to class presentations. Instructors can view student notes to gain insights into student thinking and learning. Other students commented that the ability to ask anonymous questions and post opinions through the discussion board during class offered them the opportunity to get to know one another. Overall, students felt that the way Dr. Robertson uses Echo360 helps them feel more confident about their studies and achieve higher grades. Dr. Robertson plans to continue to use the engagement features in Echo360 to encourage student participation in different ways. Echo360 makes it easy for students to give feedback. 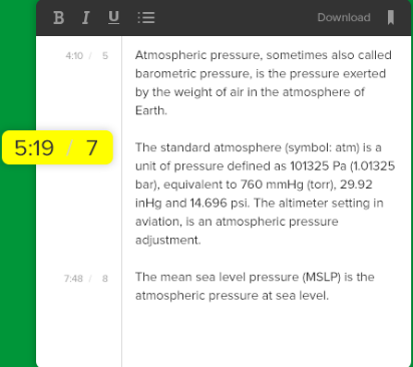 Whether in class or when reviewing a recording, with a simple click students can indicate they are confused or struggling. This sends an alert to instructors who then know which topics to reinforce. “Going forward, I want to emphasize the confusion button and make sure my students use it whenever they don’t understand something I present. If a large percentage of students indicate they are confused, I can then use that information to modify my presentation to clear up those points. In terms of analytics, there is an enormous amount of useful learner data within Echo360 and I’m just beginning to tap into the potential,” he concludes. Learn more. Find out how Echo360 can improve learning outcomes at your institution. Click on the icon below to learn more.